Late last night, rapper 50 Cent offered UFC lightweight champion Khabib Nurmagomedov $2 million to come to Bellator. That’s the amount that Nevada State Athletic Commission (NSAC) is withholding from him. That stems from his inciting of the nefarious UFC 229 brawl last Saturday. Khabib will be suspended for 10 days by the NSAC on October 15. He and McGregor will then attend a hearing on October 24. It’s the commission that is withholding his pay pending his punishment. But 50 Cent still thinks it’s somehow up to the UFC. It’s believed the undefeated champion will be fined a significant percentage of that $2 million. He may also be suspended. That should be the extent of his punishment, but we’ll have to wait and see. 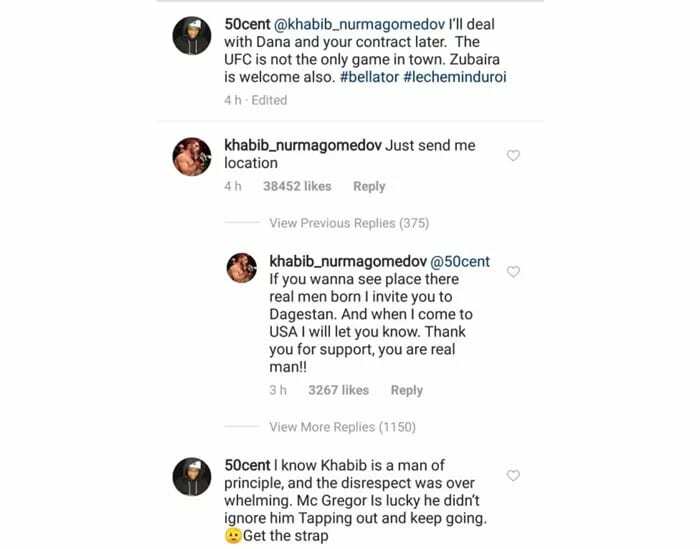 As for 50 Cent, it’s worth wondering what Khabib wants to be “sent the location for.” The Dagestani megastar may be mad at the UFC for removing his teammate Zubaira Tukhugov from his upcoming fight with Artem Lobov. But let’s be honest. The peerless wrestler is perhaps the fastest-rising star in the UFC. He’ll be staying where he is for now. The rap mogul has been throwing around some big cash in MMA as of late. 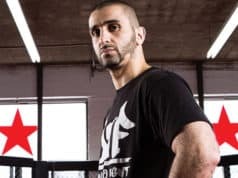 He recently promised to give $1 million of his own cash to the winner of the upcoming Bellator World Welterweight Grand Prix. 50 also signed a sponsorship deal with Bellator to promote his new champagne. Yes, his new champagne. He may be quite the showman, but it will take a lot more than $2 million to get Khabib into a Bellator cage.